Tomorrow marks the 3-year anniversary of the passing of Philip Jones Griffiths, one of the leading photojournalists of the 20th Century. 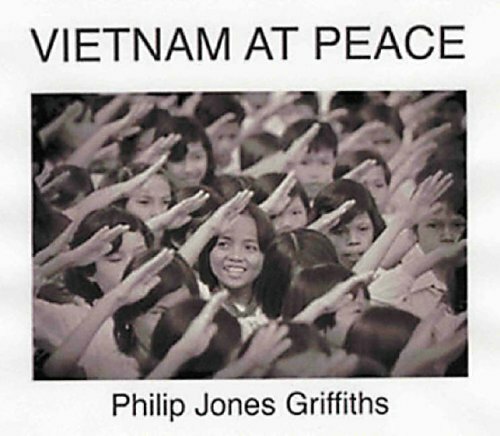 Born in the small town of Rhuddlan, in Wales, Philip became a member of Magnum Photos in 1971 and was most famous for his work in Vietnam, most notably for his book Vietnam Inc., a seminal piece of photojournalistic war reporting on the Vietnam War which was credited as helping change the tide of western opinion on the conflict. Philip was one of my heroes. It’s not often that people get to meet their heroes. It is less often that they ultimately can be able to call them a friend. I am lucky that I can, if only for a short period of time. On this anniversary, I wanted to share a couple of thoughts about my time with this inspiring photographer and man. I first discovered Philip’s work in 2003, whilst undertaking a 1-month internship at Magnum, in their London office. I spent my brief internship filing slides and cataloguing prints. It wasn’t glamorous but I had fortuitously gotten the job when I rang Magnum by phone to see if they had any internships. I was fresh out of studying a Zoology degree and I was looking for any chance to learn about photojournalism. Another intern had just cancelled and they asked me if I could start two days later. I jumped at the chance. As I stood there filing slides, I became distracted however by the bookshelves which contained many of the photographers’ books. One of the first books I picked up was Vietnam Inc. The book took my breath away. I had never realised the real power of photojournalism until I picked up this book. Leafing through the pages, every image captivated me. Philip’s witty and intelligent captions intrigued me and brought about another level of relevance and importance to these images. I was entranced. In 2004, I was invited back to Magnum to undertake their 1-year paid internship. This was a wonderful year, which allowed me to spend time with many of the wonderful staff and great photographers. 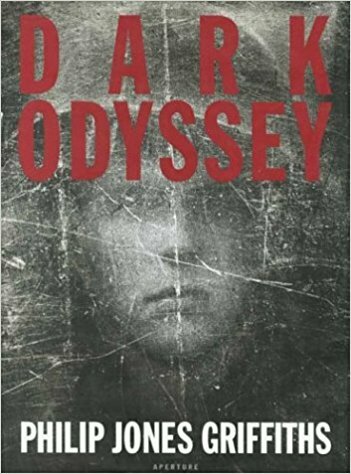 I was most excited though when the opportunity arose for me to meet and spend time with Philip, whose work I had been pouring over since my first encounter with Vietnam Inc. the previous year. One day we received a call to the office. It was Philip. He was looking for someone to help him move into his flat in West London, which he was relocating to after discovery of the illness which would eventually take his life in 2008. He needed a pair of hands to move furniture and as I was the only free intern at the time, I went to help. When I arrived at Philip’s flat it was strange at first. This was the first time I had met him and he looked slightly embarrassed that he needed the help of an intern. I was more than happy to help. I was secretly very excited but didn’t want to appear too keen. For photographers, Philip was, and still is, a real icon. After an hour or two, we had finished moving the furniture and both sat down for a well-deserved cup of tea. We began to chat. He had only just returned to the UK, so was keen to hear about the office and catch up on goings on. As we chatted, the hours started to pass and I ended up spending the whole afternoon with him. The week after we got another call to the office from Philip, asking if I could come round the help him again. And so it continued that summer during my internship. I used to drop around to his apartment whenever he needed a hand with anything. After finishing the job at hand, we would sit down and talk. He would explain his philosophy for photojournalism. He would take out his books, leaf through them and tell me stories about his favourites. He would leaf through other photographers’ books and tell me which were good and which weren’t! I realised how lucky I was to be experiencing this time with Philip. After I left Magnum in the autumn of 2005, I went to China for the first time for 6 weeks. On my return I went to visit Philip to show him my images. This was the first time I brave enough to show him some of my work. I was thrilled when he was positive about the images I showed him. Sitting in his office, we sat side-by-side as we went through each image as he gave me his thoughts. Another priceless experience. In 2006, I returned to China and kept in touch with him via email and dropped in to see him whever I was in London. He was always happy to take time out to offer me some thoughts. In March of 2008, I remember opening up the photography new sites I visit each morning, to discover a picture of Philip. The headline announced he had passed away. It had been a couple of months since we had last exchanged messages but I knew his health had deteriorated in that time. Still, I was shocked and saddened. Philip was a real inspiration to me as a photojournalist. His philosophy for why photojournalism is so important and the power it holds, sits with me whenever I go to take pictures. Some say classical photojournalism is dying. I beg to differ. As long as people are influenced by great work like that done by Philip, then his philosophy will always be around and run deep in many photojournalists. I feel his philosophy influences me, as it does countless other photographers working today. I treasure my copy of Vietnem Inc., although I never plucked up the courage to ask Philip to sign it. Just got back to London after a delightful week in Italy. Sun was shining, food excellent and all the women beautiful. I was at a place called Savignon for a foto-festival. Robert Frank did not turn up but a Malinese photographer called Malick who had just won the big prize in Venice did. We all had exhibitions together with some Italian art photographers. My “Middle Years” show was the best attended and if I was a “normal” person doors would have to be widened to get my head through. Accolades all round that for me confirmed my view that real people appreciate real pictures. The local shoe maker bought four prints but the real highlight was when a waiter in a restaurant showed me his mobile phone with a new screen-saver — a picture of mine he’d snapped at the exhibition. That’s what it’s all about! 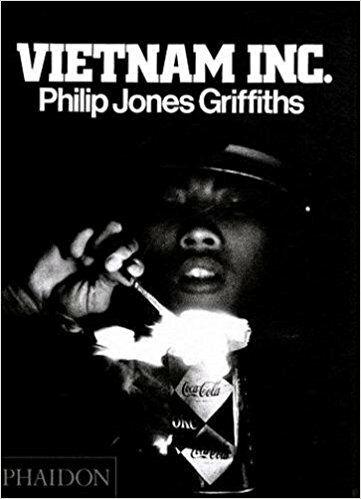 Learn more about Philip Jones Griffiths and his work on the Magnum Photos website. Beautifully written, a moving tribute. It’s hard to believe it is now 3 years. I miss him very much. Like you, I was very fortunate to meet, get to know, and become good friends with Philip. The best part, was that we worked closely together – I had the massive honour of designing the 30 year follow up book to the seminal Vietnam Inc, Vietnam at Peace….With all that entailed through editing and structuring, we had many late nights at his place….Even through illness, he was so driven, all the way through to on-press in Italy…. Further times followed and we were lucky to have him out in Asia for workshops that we held in Luang Prabang and later Bangkok – to see him with younger photographers was just an inspiration…. Philip was just infectious by his nature, even away from ‘photography’ – and I liked him very much for that….He just had ‘that’ glow, and he could talk to anyone…….I introduced him to my father for some carpentry work around his apartment and he ended up being there for about 4 years…! I don’t think I will ever really meet anyone like him again…. Hi Steven…Thanks so much for sharing your thoughts. It’s good to hear from someone else who knew Philip in a very similar way. Yes, he touched the lives of many. His spirit lives on and his concern for the world lives on in his work, for many future generation of photographers. This is one of the wonderful things about photography. Hope to run into you maybe one of these day at a festival, or maybe next time I make it to SE Asia.